Hit dip galvanised steel swing post supported by another galvanised steel post. Stainless Steel chin with a patented universal joint with ball bearing swivel device. 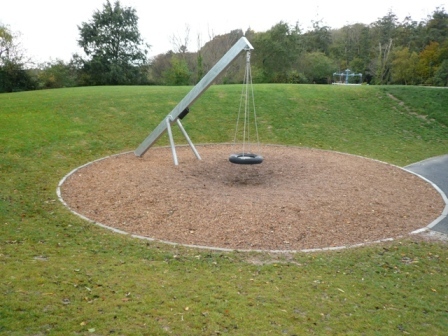 The swing platform is made of a half-tyre with profiled stainless steel plate.